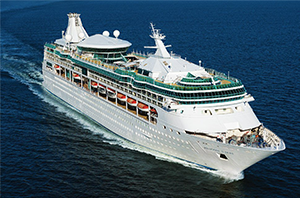 The 3rd Trevecca Alumni & Friends Cruise aboard Royal Caribbean’s Brilliance of the Seas sails out of Tampa on Monday, February 18, 2019 and returns Saturday, February 23, 2019. Prices start at around $600. This 5-night Western Caribbean cruise is scheduled to visit Key West, FL and Cozumel, Mexico with two additional days at sea. Balcony Cabins from $832.25 per person including all taxes and fees. Oceanview Cabins from 682.25 per person including all taxes and fees. Interior Cabins from $612.25 per person including all taxes and fees. All fares are based on double occupancy. Single occupancy fares are available. A $100 deposit per person is due at booking and final payment is due before December 5, 2018. For booking, call John ('65) and Jeanne ('65) Sugg at Cruise Planners at (610) 622-1324 or email at john.sugg@cruiseplanners.com.